The European Union prolonged by another six months sanctions against Russian and Ukrainian individuals. BRUSSELS: The European Union today prolonged by another six months sanctions against Russian and Ukrainian individuals over their role in the Ukraine crisis. The asset freezes and travel bans were first introduced in early 2014 as the crisis deepened into outright war between pro-Russian rebels and government forces in eastern Ukraine. The European Council, representing the 28 member states, said it "prolonged the restrictive measures over actions undermining or threatening the territorial integrity, sovereignty and independence of Ukraine for a further six months until 15 September." "The assessment of the situation did not justify a change in the sanctions regime," a statement said. The sanctions now apply to 150 persons and 37 entities, with the names to be published officially tomorrow. The list previously included Russian Deputy Prime Minister Dmitry Rogozin for his role in the Russian annexation of Crimea in March 2014. It also included Arkady Bakhin and Anatoly Antonov, defence and deputy defence ministers, along with tycoon Arkady Rotenberg, a close associate of President Vladimir Putin. The EU has imposed a whole series of punitive measures over Ukraine where the Minsk ceasefire accords brokered by France and Germany with Kiev, Moscow and the rebels repeatedly fail to hold. In December, the bloc extended for another six months restrictive measures targeting Russia's defence, financial and energy sectors which were introduced after the July 2014 shooting down of a Malaysia Airlines plane over eastern Ukraine, blamed on the rebels. 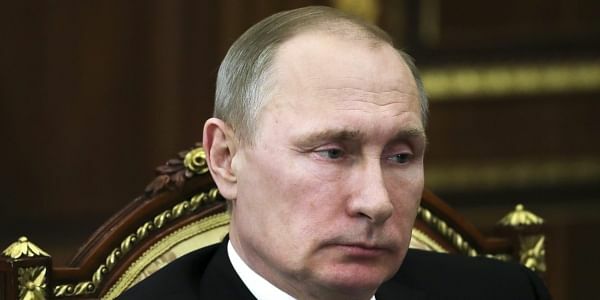 A third set of sanctions, imposed against individuals and companies said to have aided Russia's annexation of Crimea, were rolled over for a year in June 2016. Moscow says all the sanctions are ineffective and counter-productive to ending a conflict which has now cost some 10,000 lives.